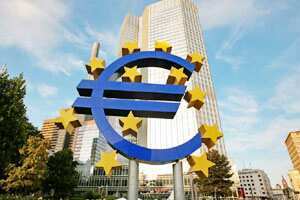 London: European shares inched higher on Thursday in low volume trade, on hope last week’s three-year funding operation by the European Central Bank would stimulate demand at an Italian auction of long-term sovereign debt. Trade was choppy with European stocks moving in and out of negative and positive territory, with low volume making moves exaggerated. Analysts doubted whether the ECB move and domestic progress on the austerity measures would be enough to see Italy meet its refinancing hurdles next year, when some €91 billion ($117.81 billion) of its bonds come due. “Volume is low and I hope we have a reasonable result at the Italian auction," Andrea Williams, manager of Royal London Asset Management’s European Income fund, said. “The ECB three-year funding has been a great thing as it has brought a lot of stability to the system and the market. But there is still concern about the first quarter, when a massive amount of Italian bonds need to be refinanced." Cyclical stocks such as miners featured among the top performers after posting sharp falls in the previous session as appetite for risk improved and investors searched for bargains. The STOXX Europe 600 Basic Resources index was up 0.7% after falling 1.9% in the previous session. By 03:30 pm, the pan-European FTSEurofirst 300 index of top shares was up 0.1% at 984.36 points after being as low as 981.22.